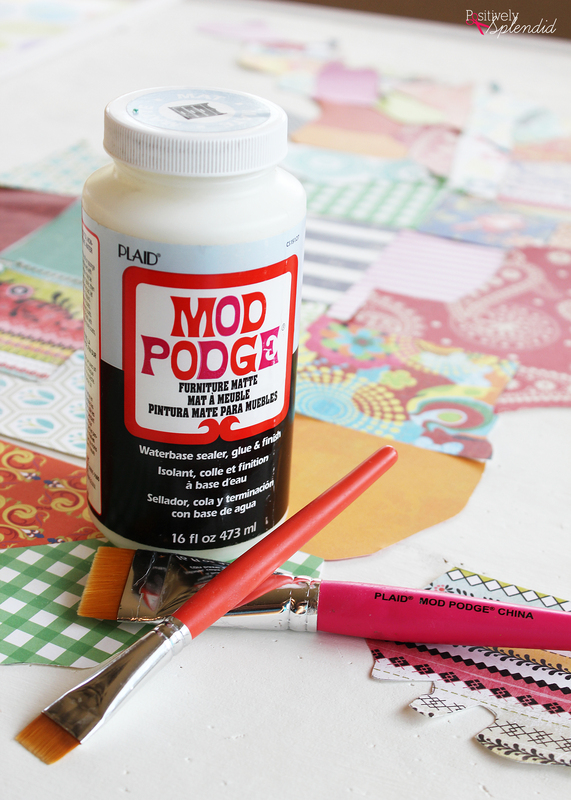 How to Use Mod Podge Like a Pro - 6 Great Tips and Tricks! 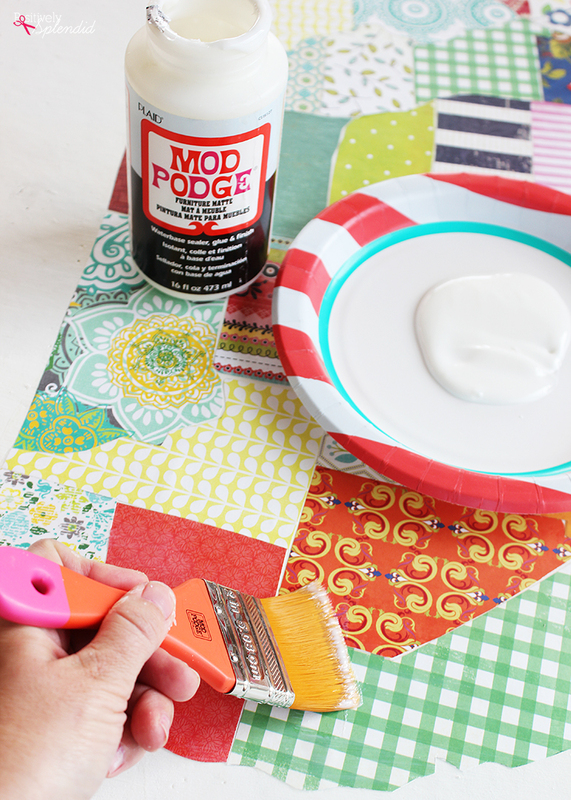 Learn how to use Mod Podge like a pro with this 6 simple tips and tricks. 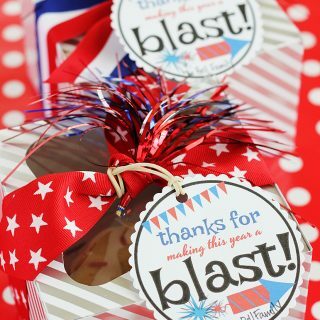 This list will help you achieve great results on all of your Mod Podge projects! 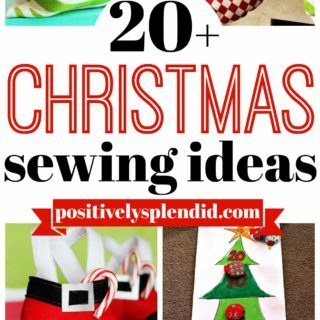 Of all of my favorite crafting supplies, Mod Podge has to be close to the top of the list! 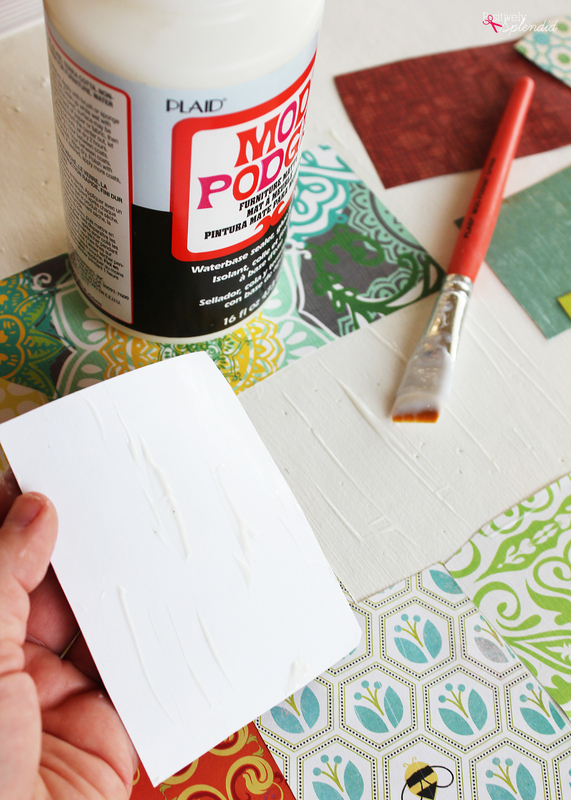 Over time, I’ve developed a great “system” for working with Mod Podge to ensure great results on all of my Mod Podge craft projects, and today, I’m going to share my tips for how to use Mod Podge like a pro! 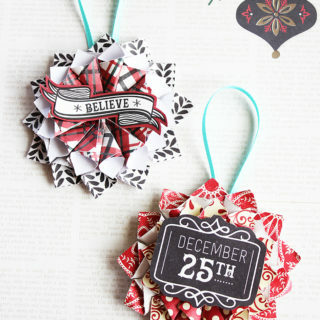 Mod Podge is one of my favorite craft products! 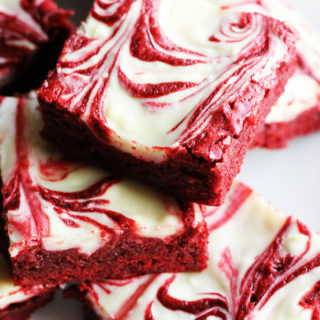 I love the versatility of the different formulas available. 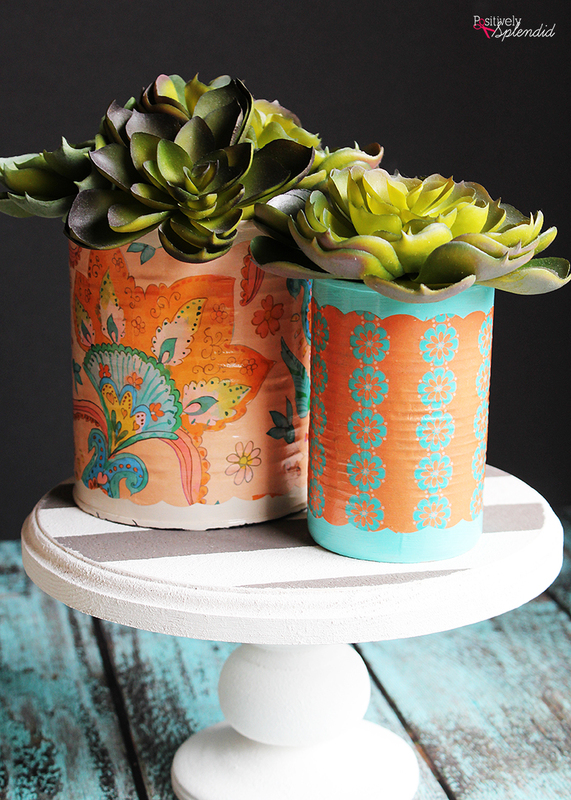 If you aren’t familiar with Mod Podge, it is a decoupage medium that can be used to affix decorative design elements to any number of surfaces: furniture pieces, wall art, wearable items, and more. My personal favorite Mod Podge formula is the Ultra Matte, which dries to a smooth, velvety finish that is virtually invisible! 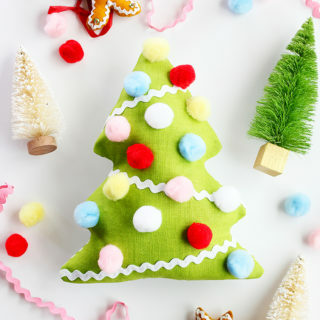 There is even a Dishwasher Safe Mod Podge that can be used to make all sorts of cool projects (like my Mod Podged Chargers), and a glitter formula that is great for fun seasonal projects. 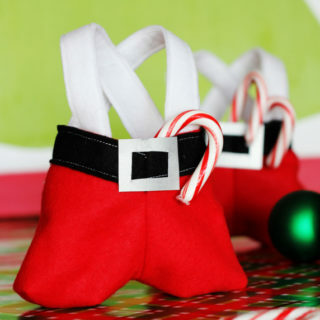 There are a few very basic tips I have to ensure your Mod Podge projects turn out great every time. 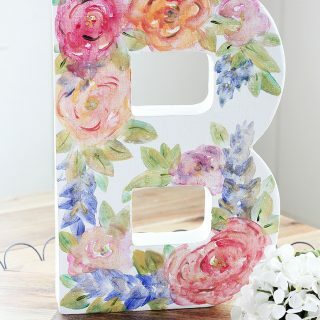 Always apply an even layer of Mod Podge onto the back of the decorative piece you will be adhering, as well as to the surface you will be covering. 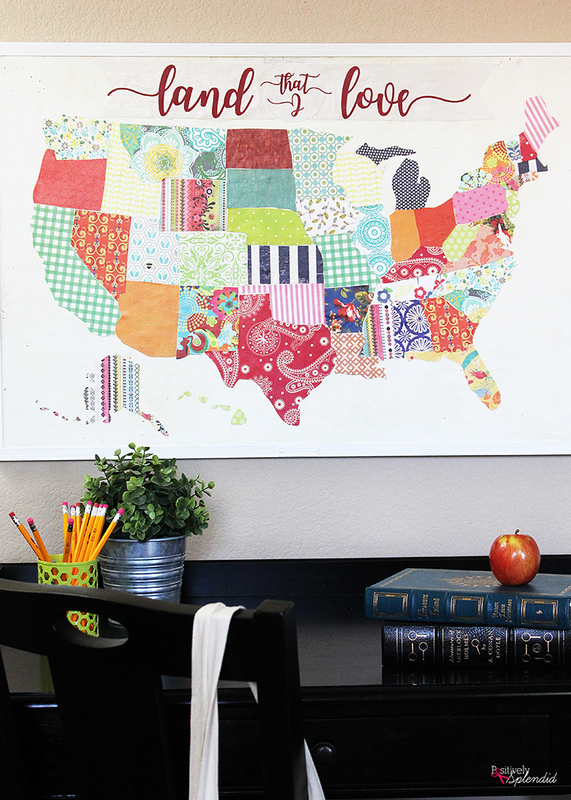 For example, on my United States Map Bulletin Board, I applied a layer of Mod Podge to the back of each state piece, as well as to the surface of the bulletin board itself. Applying Mod Podge in this way ensures the decoupaged pieces are securely attached to prevent them from lifting up in the finished project. 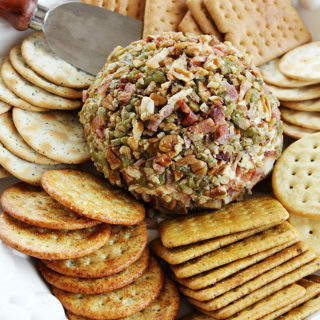 Always smooth out any bubbles right away with a brayer tool or a squeegee. This is probably the most important step of all! 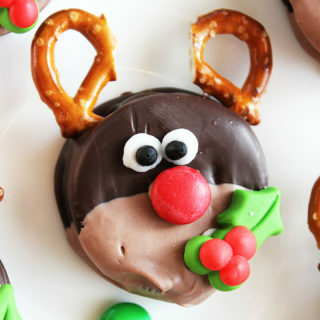 Bubbles are inevitable when bonding one surface to another with Mod Podge, so while the Mod Podge medium is still wet, go over the adhered pieces thoroughly with the brayer, working from the center of the pieces outward, as I did below when creating my Christmas List Photo Ornaments. 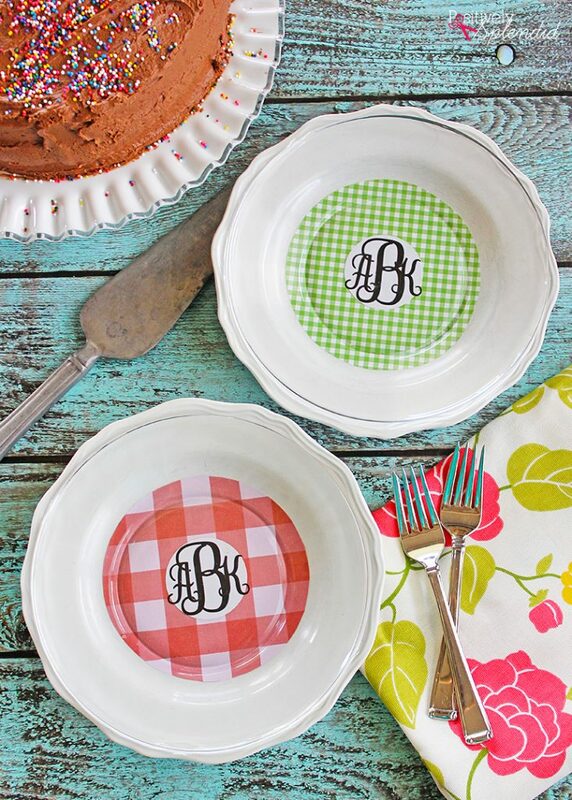 When applying Mod Podge over a design, apply one layer of the Mod Podge with side-to-side brush strokes. Allow that coat to dry for 20 minutes or so before applying another even layer of Mod Podge in up-and-down strokes. I have found that this process results in the smoothest possible finished surface. 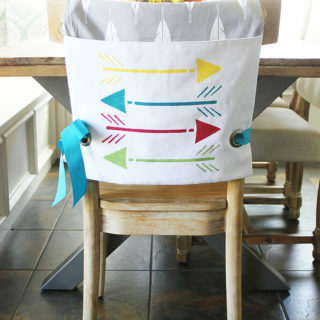 Always allow the Mod Podge to cure completely before using the finished project. 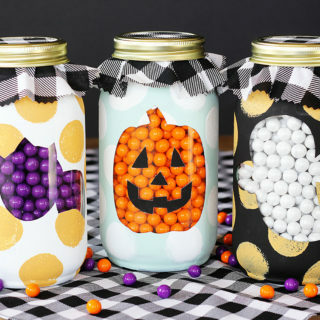 The curing time varies depending upon the formula of Mod Podge you are using, so be sure to consult the back of the bottle for the recommended time. 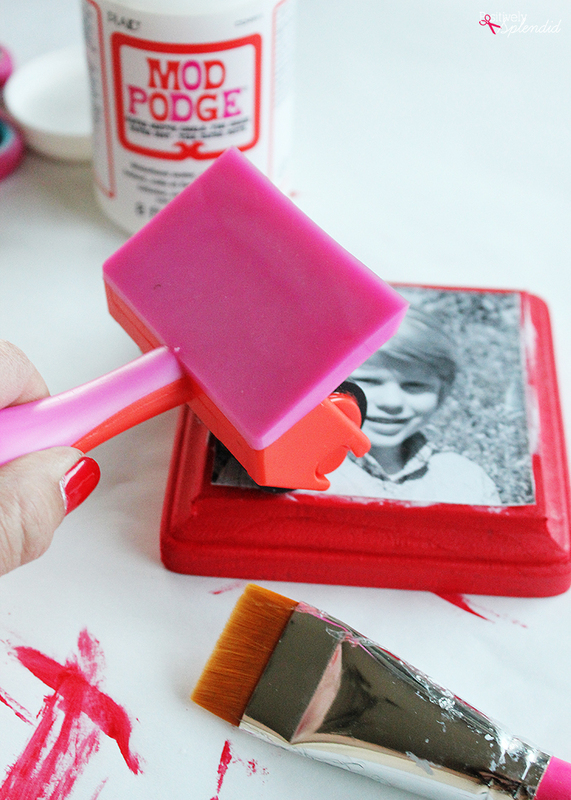 Use Mod Podge brushes for the best results every time. These brushes have soft, smooth bristles that spread the Mod Podge evenly, and the bristles don’t fall out of the brushes when working with the tacky medium. When creating Mod Podge projects with photos or other printed designs, try to use laser-printed items instead of those done with a standard inkjet printer. If you don’t have a laser printer handy, though, don’t worry! 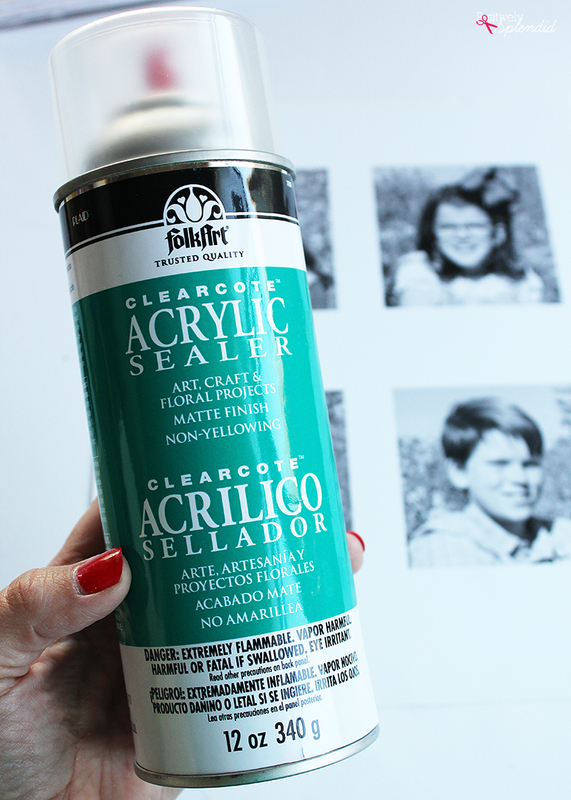 Simply spray the surface of the printed photo or design with acrylic spray sealer and allow to dry before Mod Podging with the process outlined in the steps above. 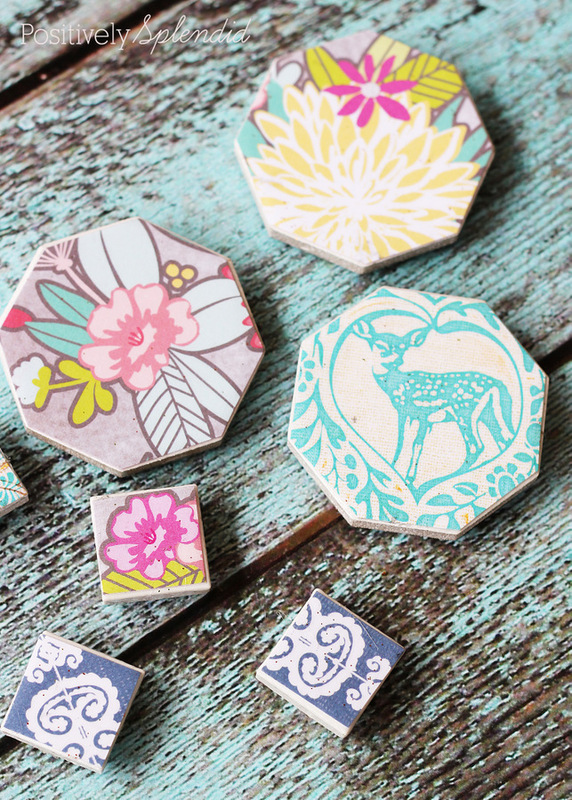 Looking for some fun projects to put your Mod Podge skills to good use? 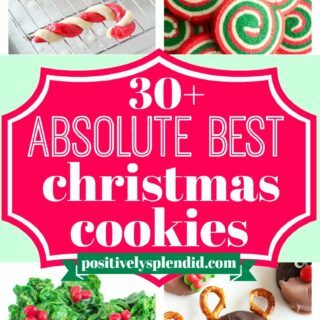 Be sure to check out these ideas!